Earlier this month we examined how partisan division at the Federal Communications Commission impedes progress towards closing the digital divide. Now, we review another big telecom policy story from 2018: the democratic harms of “Big Tech”. In 2018, we got a better, but more disturbing, understanding of the size and influence of large technology companies (Apple, Amazon, Facebook, Google, and Microsoft), and particularly how social media platforms affect our democratic discourse and elections. Furthermore, we saw how their power and influence can keep consumer protection policies from being enacted. Last March, we learned that Cambridge Analytica -- a political consulting firm which combines data mining, data brokerage, and data analysis with strategic communication for the electoral process -- harvested, without consent, millions of U.S. Facebook users’ profiles to build a powerful software program to influence the 2016 U.S. election. Facebook used to have a policy that allowed app developers and other advertising and tech companies to draw user data out of Facebook. The policy eventually generated an eight-count complaint from the Federal Trade Commission in 2011 that resulted in a consent decree in which Facebook pledged not to share user data outside the company without explicit permission from users. The Cambridge Analytica scandal indicates that Facebook did not honor that pledge, with enormous consequences. In April, I wrote a three-part series, Is Facebook a 'Bug' in Our Democracy?, that described how the Cambridge Analytica story helped illustrate the size and scope of Facebook’s business model, which relies on massive data collection. I detailed the harmful effects on our democratic discourse. In April, Facebook CEO Mark Zuckerberg testified for over 10 hours before Congress. The hearings made consumer privacy a national headline and revealed how little some Members of Congress knew about Facebook and its business model. “Few lawmakers seem to truly understand how data is used and shared between platforms, advertisers, data brokers, and app developers. 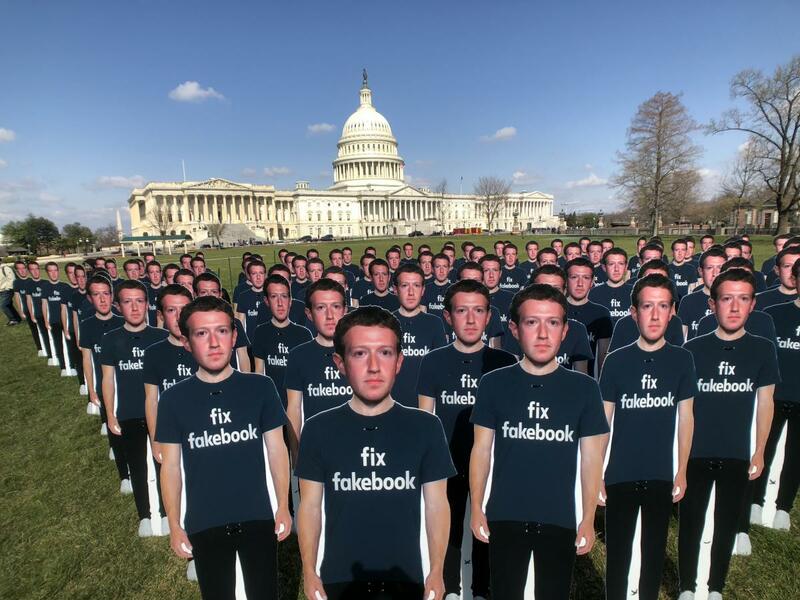 Several Members suggested that Facebook provides users' personal data directly to advertisers. Off-point algorithm questions resulted in blank stares and stammers from a baffled Zuckerberg,” I wrote. In December 2018, we learned that Facebook gave Microsoft, Amazon, Spotify, and other companies far greater access to people’s data than it had previously disclosed. Facebook allowed Microsoft’s Bing search engine to see the names of virtually all Facebook users’ friends without consent and gave Netflix and Spotify the ability to read Facebook users’ private messages. The companies that could have received data from Facebook as late as 2017 include powerful global firms such as the Russian search engine (and Kremlin partner) Yandex, Chinese phone maker Huawei (under sanctions for producing insecure devices that enable state surveillance), Yahoo and Sony (which have both suffered a major security breaches), and the New York Times itself. Congress promised to act in 2018, but didn’t. “The era of the Wild West in social media is coming to an end,” said Senate Intelligence Committee Vice Chairman Mark Warner (D-VA) in September. “Where we go from here is an open question. The size and reach of your platforms demand that we, as policymakers, do our job, to ensure proper oversight, transparency and protections for American users and for our democratic institutions." 2018 came and went without any notable policy or legislation. In November, the New York Times examined how Facebook has avoided accountability. The company has not been forthcoming about the scope and impact of Russian meddling with the 2016 election. And the story weaved together the harmful effects of the concentrated power Facebook wields, detailing how the company uses political influence to block legislation and disinformation campaigns to attack critics and deflect blame. Because of a vast global power of both Facebook and its trusted partners, we are unlikely to see effective regulation on any continent. Because the only viable competitors for our attention, Instagram and WhatsApp, are owned by Facebook, we are unlikely to see market forces influence Facebook. And because many of the 2.3 billion users around the world are deeply dependent on Facebook to manage their relations and learn about the world, we are unlikely to see any significant user exodus from Facebook. 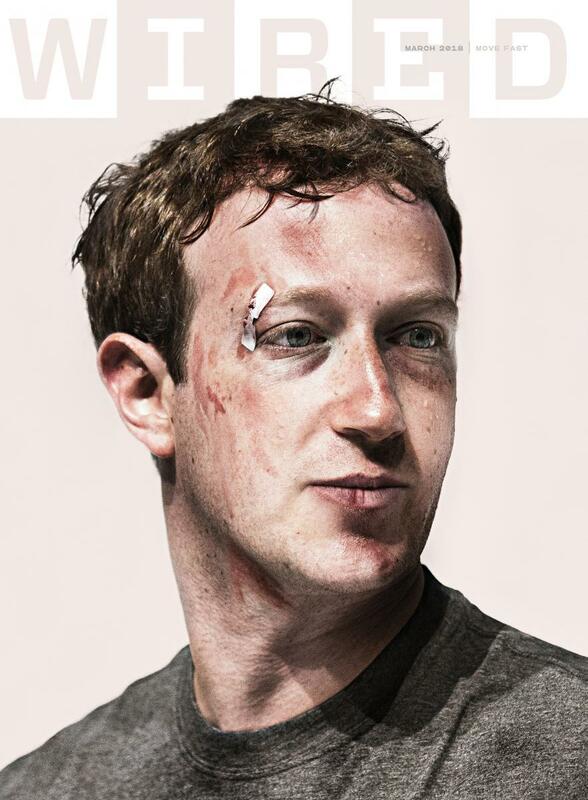 So while the most recent revelations of the depths of Facebook’s depravity shock the conscience, the deeper story is that Facebook’s position is more secure than we had feared. And Zuckerberg need not abandon his core principles as his algorithms continue to manipulate how billions of people make choices every day. Earlier this week, the Washington Post reported that “Apple, Amazon, Facebook, Google, and Microsoft spent a combined $64 million to shape U.S. regulations and stave off government scrutiny in 2018.” That’s more than a 10 percent increase over their record-setting 2017 spending. The tech sector’s most prolific spender was Google: It shelled out more than $21 million last year to lobby Congress, the White House, and key federal agencies on issues including online privacy. According to the Center for Responsive Politics, Alphabet now spends more on lobbying than players like Comcast and AT&T. “The big concern is that the lobbying influence will result in a debate focusing on the wrong questions,” said ACLU Senior Legislative Counsel Neema Singh Guliani. “The central question should be, ‘What is good for consumers?’"
Facebook’s power also comes from its willingness to stiff-arm policymakers. Despite proof that Facebook was an important tool of Russian hackers seeking to disrupt American democracy, the corporation has aggressively lobbied against the Honest Ads Act...For years, Facebook has lobbied successfully in state capitals all over the country to block privacy rules, such as on facial recognition technologies. Days after the bill was unveiled, Facebook hired Senator Warner’s former chief of staff, Luke Albee, to lobby on the bill. The public is beginning to better understand which side of the influence divide they fall. An Axios poll in November found, "In the past year, there has been a 15-point spike in the number of people who fear the federal government won’t do enough to regulate big tech companies — with 55% now sharing this concern." There was also a 14-point increase in those who feel technology has hurt democracy and free speech. With the ability to deploy so many lobbyists, Big Tech often finds itself on the winning side of any policy debate. A National Privacy Law in 2019? The outsized political influence of Big Tech has and will continue to slow or weaken a push for a national privacy law. In November, there was an FTC hearing on consumer protection. The takeaway was that the FTC agrees it needs help in effectively protecting consumers. For that help, we look to Congress. But, as it stands now, national consumer protection enforcement is under-supported, and continued large-scale privacy violations can be reasonably expected. Any legislation is difficult, and big legislation that cuts across many different and powerful interests often takes several Congresses. But, as a committed optimist, it’s my belief that there is a sweet spot where business interests and privacy advocates can converge. There is a brief window for this to happen because once California’s new privacy law takes effect at the beginning of 2020 and the next federal election takes shape, agreement is likely to become more difficult. Numerous scandals and hearings in 2018 pulled back the curtain, a bit, into how harmful Big Tech, and particularly social media platforms, have been for our democracy. But the sheer size of Big Tech makes public-interest regulation difficult. With so many privacy violations occurring, short-term data protection solutions get more oxygen than the long-term fixes needed to address surveillance capitalism and other harmful business models. Short-term policy solutions can help curb some of Facebook’s harmful effects, but the larger task before policymakers -- and all of us -- is to critically examine the long-term health of our democratic discourse. What’s needed are policy solutions that take into account business models that are inherently at odds with the public interest. Here at Benton, we will continue to advocate for public interest communications policy in the digital age, which includes policies aimed at addressing the democratic harms wrought by Big Tech. Benton Senior Fellow and Public Advocate Gigi Sohn will continue her role as one of the nation’s leading public voices for open, affordable, and democratic communications networks. Read her policy framework for an Open Internet Ecosystem. And Benton Senior Fellow Jon Sallet has been before the FTC outlining how Louis Brandeis’ antitrust philosophy can be updated for the digital age. Finally, Benton will continue to keep policymakers and the public informed of communications policy news to help foster a more inclusive debate around key issues. And, if you weren't aware already, the Benton Foundation curates and distributes the only free, reliable, and non-partisan daily digest of media and communications news. You can subscribe to Headlines here.